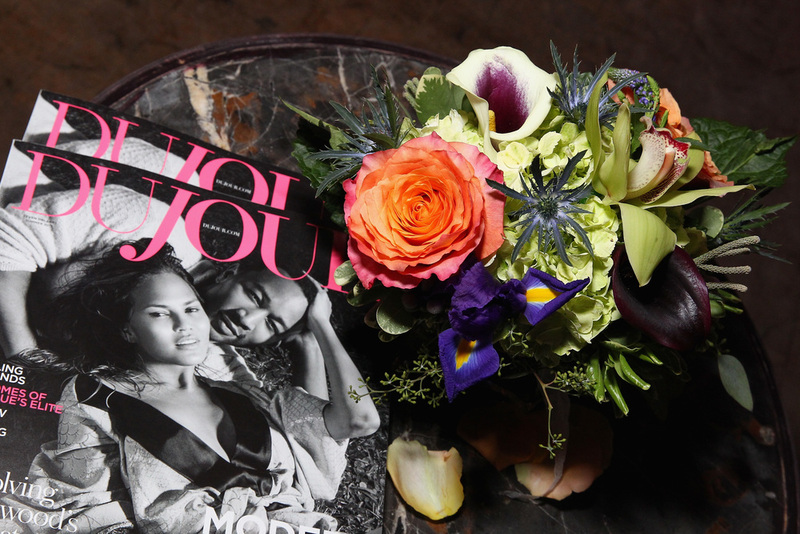 We were privileged to design for three fantastic events with the luxury lifestyle magazine Dujour. Each party provided us with an opportunity to work directly with the senior team, including Editor-In-Chief Nicole Vecchiarelli and Dujour Founder Jason Binn, so we could truly understand their visions for three of their most important events, including the inaugural GameChangers issue. For an event in New York City, we designed for the nightclub Lavo, however we were tasked with making the space feel more "lounge-like" than a big city nightclub. We worked alongside the team's vision for bringing in seating clusters and lounge furniture and created small interesting bouquets for the tables and high tops that provided some funky textures and pops of colors. 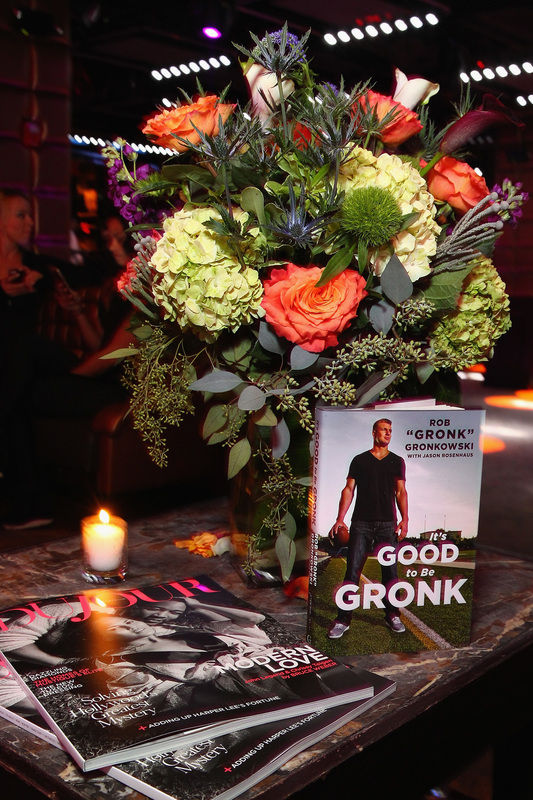 The event was to celebrate the cover of Dujour with New England Patriots' star Rob Gronkowski so it was important for the colors to be more neutral rather than overtly feminine. Over at the opposite side of New York, we were once again invited to design for Dujour, this time, for the magazine's family day summer Hamptons party. The event was held at a stunning venue in Bridgehampton called The Topping Rose, which is a historic building turned hotel. We created a mix of small and large pieces for the outside tables, where cocktails were served, and then complemented the burlap covered round tables with rectangle shaped arrangements that blended perfectly with the beautiful barn lunch was served in. Back in New York City, we were invited to design for Dujour's party celebrating its inaugural GameChangers issue, honoring some of the biggest names in various industries, including Derek Jeter, Katie Couric, AirBnB's Brian Chesky, comedian The Fat Jew, and more. The event was held at the prestigious Friar's Club, which has played home to some of comedy's most legendary names. As with all Dujour events, we wanted to maintain a balance of beauty with nothing that would feel too overwhelming to the venue or the guests. We chose a mix of centerpieces, from small rectangle vases, elevated pieces with a mix of textures and heights, as well as small accent pieces with stones and orchids. It was a great event we were privileged to be a part of!